​Rev. 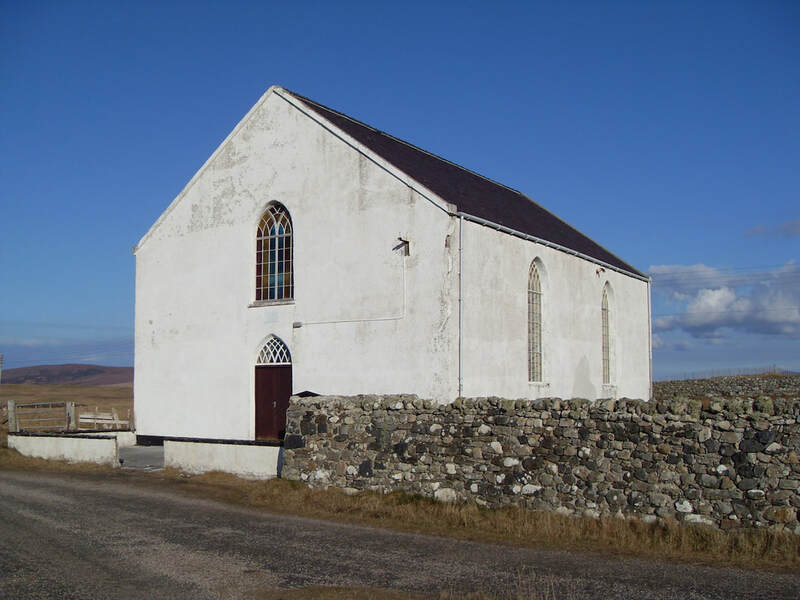 Norman MacLeod, minister of Trumisgarry Parliamentary Church in North Uist came out at the Disruption of the Church of Scotland in 1843 which saw the emergence of the Free Church of Scotland. For some years he had charge of almost the whole of the island, the remainder being served by a catechist. The charge was sanctioned in 1849 and North Uist and Trumisgarry were united in one charge in 1854. Church and manse were erected in 1858. The minister in 1900, Rev. John MacLeod, entered the Union and in 1912 Rev. Robert MacLeod was called. From 1892 the congregation had as its ministers in succession three MacLeods followed by three Morrisons, before it called Rev. James Gracie in 1999. The congregation became vacant in 2003 until 2007 when Rev. David Blunt was inducted.